Outside this morning it is bright and sunny here in little old Adelaide! I have woken up lying beneath our bedroom window in our new bedroom layout and I feel excited about the day. 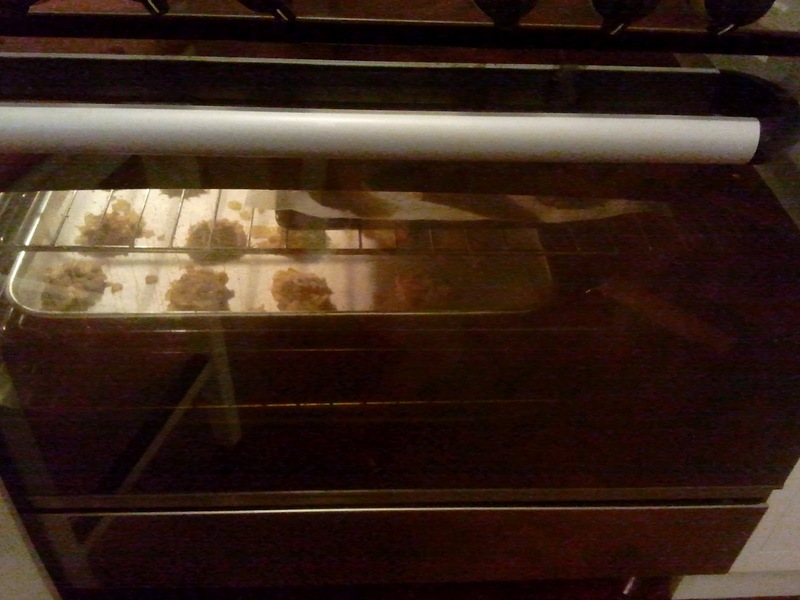 I can smell the subtle aroma of our freshly baked bread in the breadmaker. So far it is a lovely morning. I am feeling really positive after our big clean out yesterday. Today I am off to the poor box to drop off all the clothes that we cleaned out. I would love to walk / ride our bikes as part of our saving money scheme, but honesty we can't fit all the clothes under the pram. Perhaps we could take a few each day, that would make us walk there everyday. Helping me to get fit, lose weight, and save money by not driving the car. But alas, I am afraid that if we leave the clothes lying around at the front door, they will slowly creep back into my cupboard. No I need to drive them to the poor box ASAP, so I can make a clean break! 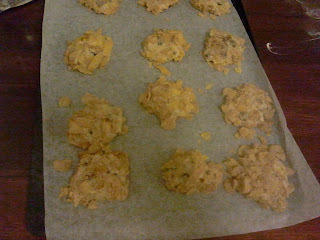 After the poor box, today on the agenda we are also going to cook some biscuits. Last week I found these fabulous Caramel choc bits, at a supermarket near a friend's house, which were just so delicious. 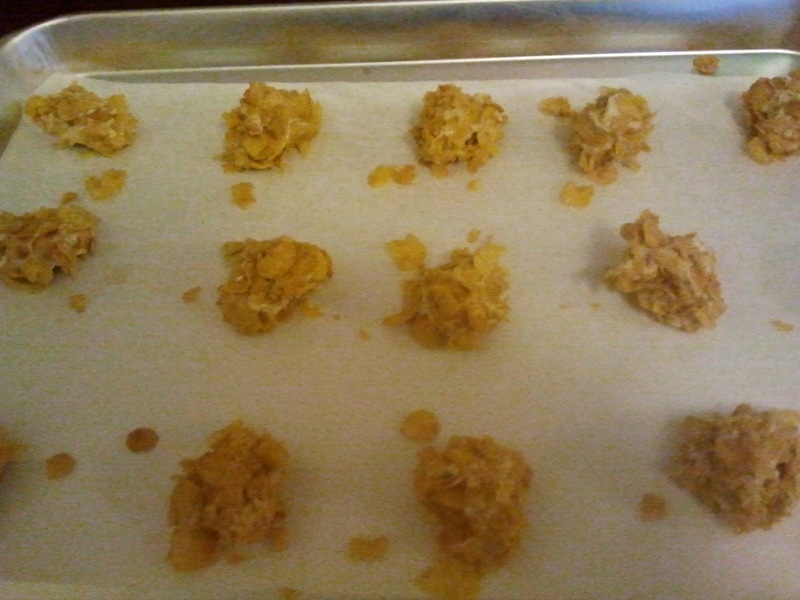 I baked them in these supereasy cornflake biscuits from Chocolatesuze. They were fantastic and the children loved them. However I haven't found the caramel choc bits at a supermarket near me, so I am off to the shops to look for them. The children will ride their scooters and bikes, which will burn off some of their bounding energy. SO I couldn't find the delicious caramel bits. 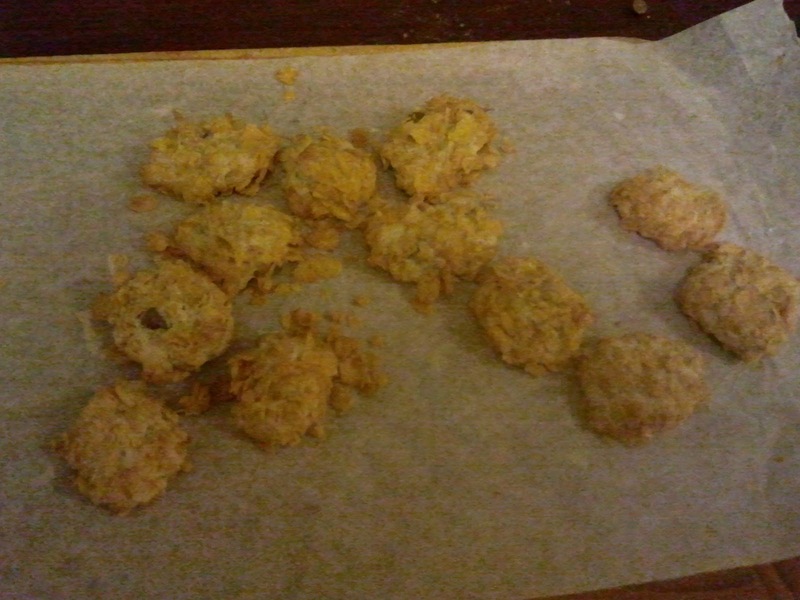 We still went ahead and made our biscuits. 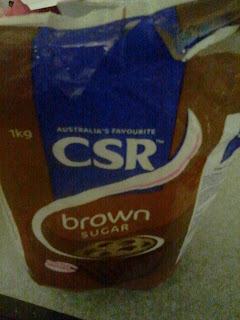 This recipe uses brown sugar which gives it a beautiful caramel undertone flavour to the biscuits. 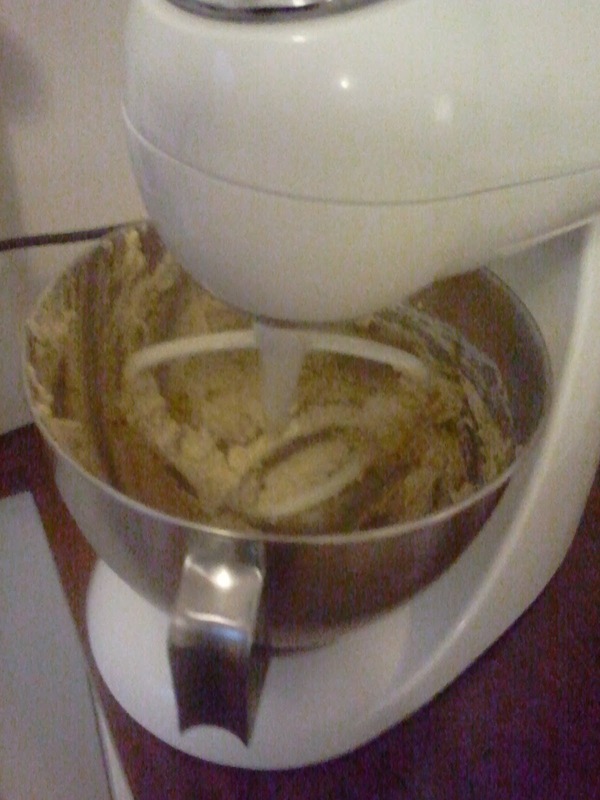 As mentioned in my first 'Pippi's Piece' Post, I dont' store Self Raising flour most of the time, purely due to storage issues with a family of 6 in a small house. 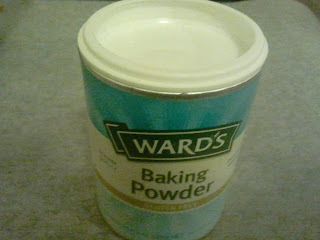 So I use Baking Powder as required to make Self Raising Flour from the Plain Flour. This is easily done by adding 2 teaspoons of baking powder to 1 cup of plain flour. SO I couldn't find the delicious caramel bits. We still went ahead and made our biscuits. 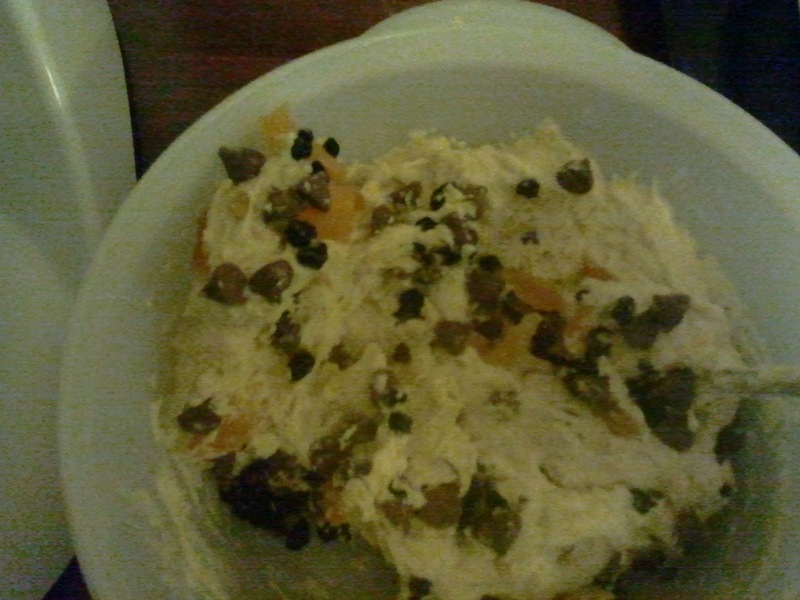 Instead of caramel choc bits, we divided the mixture into 3. 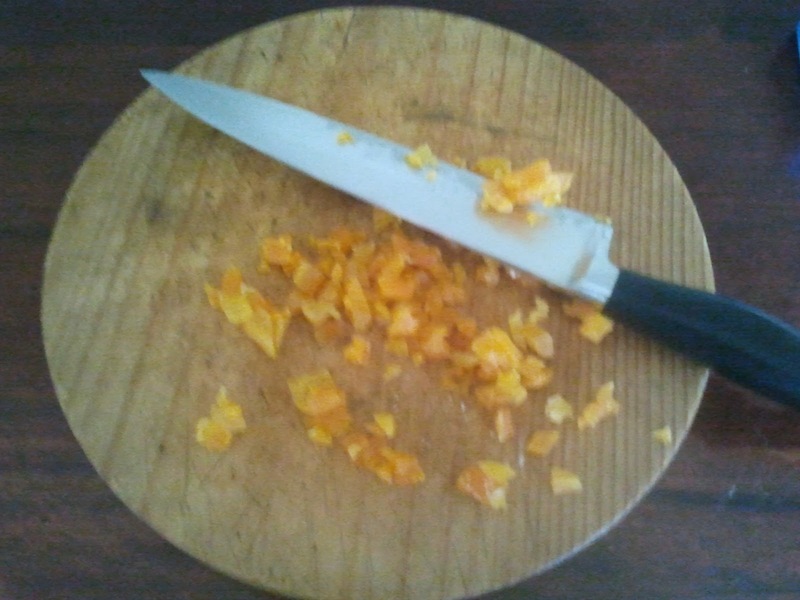 In the first bowl we mixed in diced dried apricots. 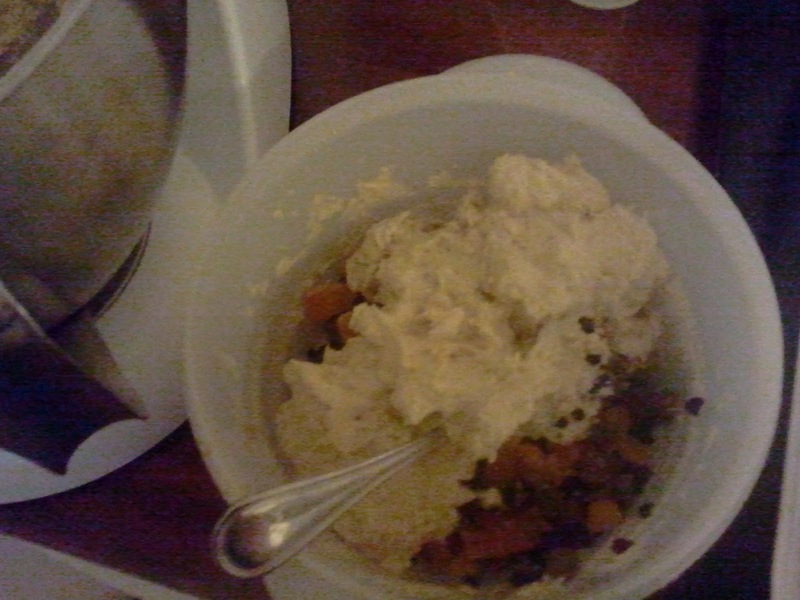 In the 2nd bowl we added Nestle Milk Choc Bits and in the 3rd bowl we added some of all both plus some currants. There were about 4 trays with 15 or so biscuits on each tray, so all up about 60 walnut sized biscuits, so there were plenty for everyone. The children didn't eat the ones with currants, but I found them absolutely delicious.